On Thursday, seven pit bull puppies and five adults were rescued from a suspected dogfighting ring in Pennsylvania thanks to a tough new law targeting those who force animals to harm each other. 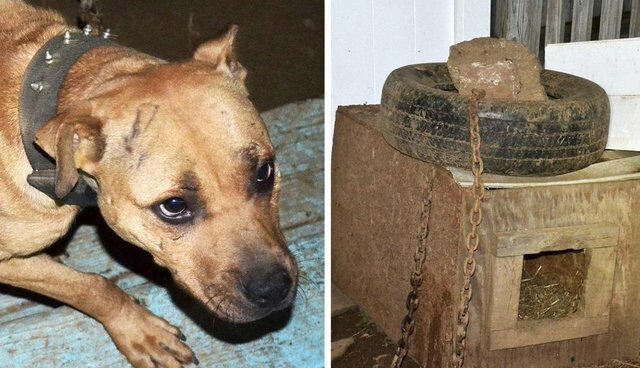 Authorities say the adult pit bulls had scars on their faces and bodies consistent with dogfighting, but Philly.com reports it was the presence of animal-fighting equipment that triggered the search of the residence and the pit bulls' subsequent rescue. Animal fighting is a felony in Pennsylvania, but until this summer, owning animal-fighting paraphernalia was legal in the state. 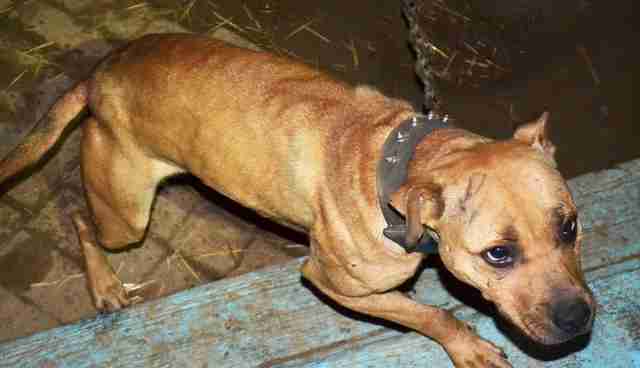 That changed with the recent passage of a law aimed at prosecuting animal abusers even if their victims cannot be found. According to the Daily Local News, numerous pieces of dogfighting equipment were found during the raid, including anabolic steroids, syringes, treadmills, weighted vests and flyers promoting dogfighting. Two suspects have been charged with violating the new anti-dogfighting legislation, the first people to be prosecuted since the law went into effect in September. If convicted, they face up to one year in jail for each count of possessing animal-fighting paraphernalia. All 12 dogs are currently being treated by the Chester County SPCA (CCSPCA), who say the pit bulls will be available for adoption once they recover. To help the CCSPCA care for the rescued pups, click here.